Are you as glad to see the sun peeking out as I am? I’m loving the hints of spring everywhere! I’m so excited to share my love of books with fellow bookworms. Every few months I send out a newsletter to my book club members to share my upcoming giveaways and book recommendations. PLUS I announce one book club winner (below) in each newsletter. Keep reading to find out more. So much has happened lately! My debut book The Night Olivia Fell launched in the US in February and in the UK in March. It shot straight to the top 100 bestsellers on Barnes & Noble in the US, which was just so amazing and exciting. I can’t thank you all enough! If you’ve read and enjoyed The Night Olivia Fell, I’d be so grateful for a short review on Amazon US or Amazon UK. It makes all the difference and helps others be able to find it! 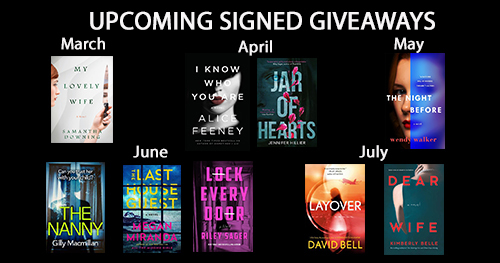 My book club members are automatically entered to win SIGNED early copies of these books, plus they get exclusive access to interviews with the authors! I announce the winners on my Facebook page at the end of every month. Make sure to follow me and listen for your name! I’ve read so many books these last months that I decided to join BookBub, a website that notifies you about book sales and new releases. Follow Me On BookBub. Here are my top three recommendations for spring. 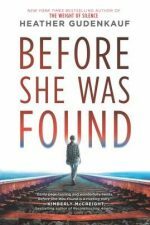 A cleverly-crafted, beautifully told tale full of twists and turns, Before She Was Found explores friendship, betrayal, the power of social pressure, and how far parents will go to protect their children. Cora and two friends have a typical 12-year-old sleepover—movies, Ouija, and sneaking out to the abandoned rail yard. But when Cora is found bloody and near death, her friends nowhere to be found, their small town is thrust into a maelstrom. Who would hurt a young girl like Cora. And why? Read the full review. You need this book in your life! Edgy, mesmerizing, and surprising in the best possible way, I couldn’t put it down. 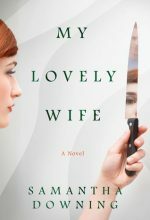 An ordinary, suburban couple have an extraordinary secret to keeping their marriage alive: murder. Despite the creepy subject matter, there is little to no gore in it, nor any graphic violence. Instead it is a fantastic psychological thriller that turns the usual who-dunnit on its head. We know the villains, but we don’t know what will happen to them. Read the full review. Addictive. Creepy. Pulse-poundingly perfect. Lock Every Door is a study in flawless storytelling. Recently heartbroken and just plain broke, Jules accepts what appears to be the opportunity of a lifetime apartment-sitting in one of New York’s most exclusive apartments. 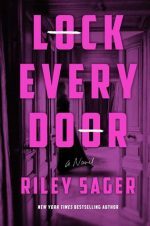 But when a fellow apartment sitter goes missing, and it turns out she isn’t the first one, Jules begins to realize she might be next on the killer’s list. Read the full review. Here are a few of the questions readers asked in my AMA session post on Facebook. Jodi Raynes – How long have you been writing? Debbie Buckner Bellows – I Loved The Night Olivia Fell – are you working on another book yet? Sandy West – Are you planning a book tour? Ashley Houser – Do you generally need silence or do you enjoy some background noise? Cheang Wai Kuen – How or where did you get the ideas/plots of your book? The idea for The Night Olivia Fell came one day when I was rocking my newborn baby to sleep reading the news on my phone. I stumbled across a story about a teenager called Jahi McMath, who had gone in for a routine tonsillectomy, suffered massive blood loss, and ended up brain dead. I looked at my baby utterly horrified, thinking about Jahi’s mother and how devastating it would be to lose your child. I starting thing ‘what if’? What if she was a teenager, what if she were pregnant, what if she had bruises on her wrists and her mother thought she’d been murdered? From there the seeds of The Night Olivia Fell were born. 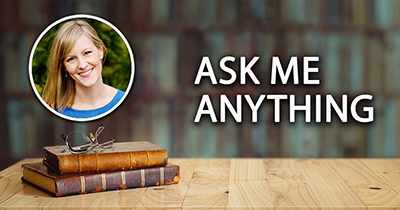 I had such an amazing response to this thread I decided to do an AMA page, so if your question isn’t above, Read more of your questions answered here. 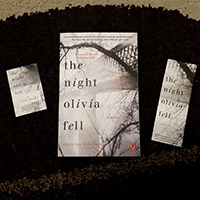 Every newsletter I randomly choose one book club member to receive a signed copy of The Night Olivia Fell, plus a sticker and bookmark. Congrats Alaina! Just PM me on my Facebook page with your address. Make sure to keep an eye out for your name in my next newsletter! What are your most anticipated reads for spring? That’s all from me for now. Enjoy the spring sunshine and happy reading! Follow me on BookBub to get notified about book sales and new releases. Win free books, get access to exclusive author interviews and see sneak peeks at my upcoming books.